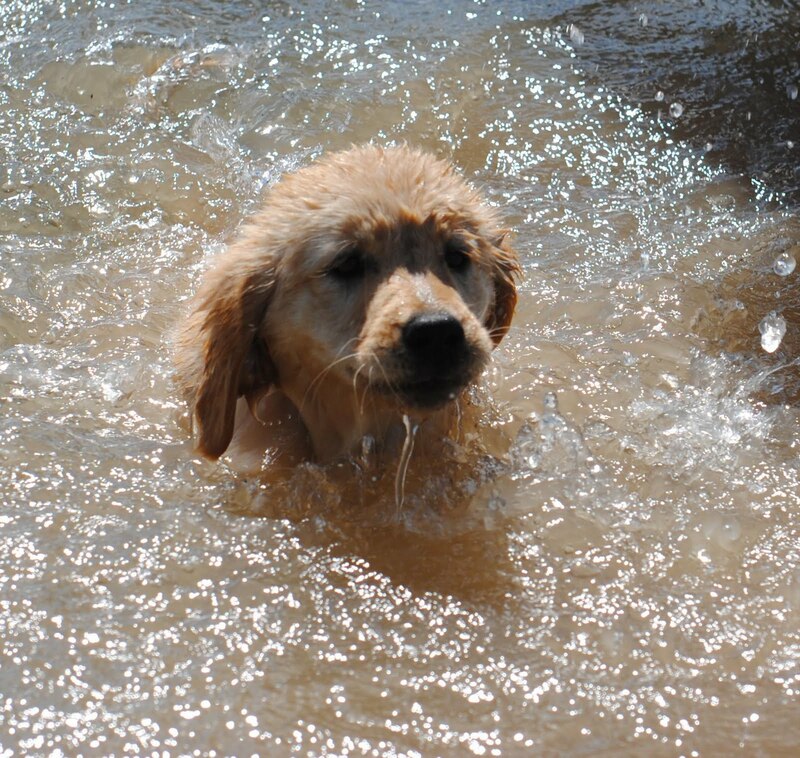 Last weekend Ranger and his sister Sage went swimming in Milton. For Sage, it was her first time in the water since she went to live with Paul and Lisa and their girls Emily and Caitlin - Ranger has been out a time or two. There was lots of splashing and having fun. I think Mark got wetter than the puppies.